British actors Rachel Weisz and Olivia Colman pose on the red carpet upon arrival at the BAFTAs at the Royal Albert Hall in London on February 10, 2019. 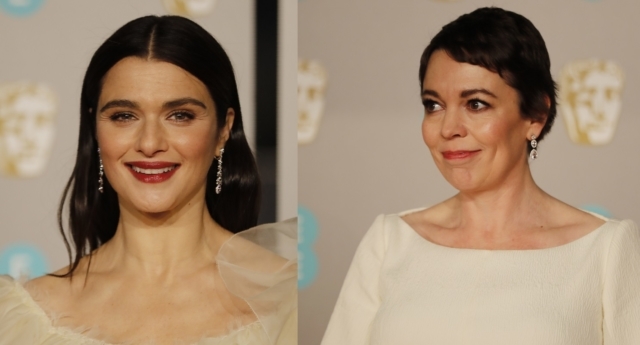 Fans are loving these viral clips of The Favourite stars Olivia Colman and Rachel Weisz saying “gay rights” at the BAFTAs. The lesbian comedy-drama, which stars Colman as a lesbian Queen Anne, cleaned up at the BAFTAs on Sunday (February 10), winning a total of seven awards. The film’s stars also cleaned up on social media, thanks to one red carpet attendee. Grace, who goes by @lgbtdisney on Twitter, approached Olivia Colman and Rachel Weisz on the red carpet, and asked them to say “gay rights” into the camera. Both obligingly did so, and the clips of the stars repeating the phrase have racked up nearly half a million views between them. Grace, who is 19 and bisexual, explained on Twitter: “I asked Rachel to say gay rights and she said no which is why we laughed but then came back and was like OH FOR YOUR VIDEO?! I was like yes! And she said yes I can do that! The Favourite stormed to success at the BAFTAs, with Colman and Weisz picking up the awards for Best Actress and Best Supporting Actress respectively. The film also won the award for Best Original Screenplay, Outstanding British Film, Best Production Design, Best Costume Design and Best Makeup and Hair. Olivia Colman and Rachel Weisz are both also nominated for Oscars for their roles, among the film’s total 10 Oscar nominations. 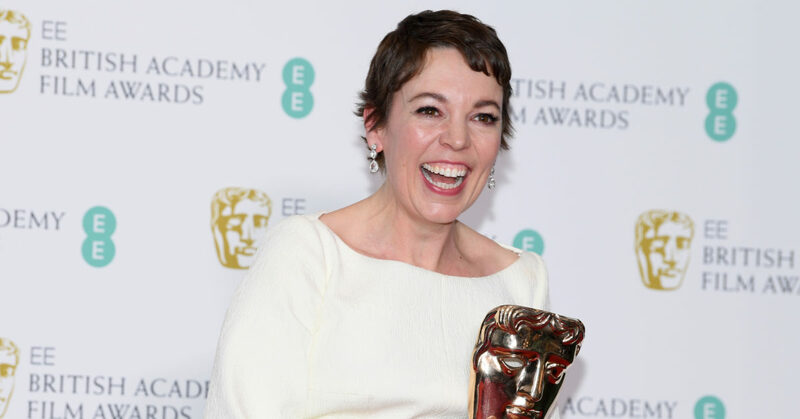 The Favourite has picked up considerable steam heading into the awards season, with Olivia Colman also picking up a Golden Globe for best actress on January 6. If successful in the Best Picture category at the Oscars, The Favourite would be the second film to feature LGBT+ relationships to win in just two years, following Moonlight‘s victory at the Oscars in 2017. Moonlight, about an African-American man’s struggle to accept his homosexuality, went down in Oscars history for the wrong reasons as a mix-up initially saw the wrong winner announced. The Academy Awards will take place on Sunday, February 24.